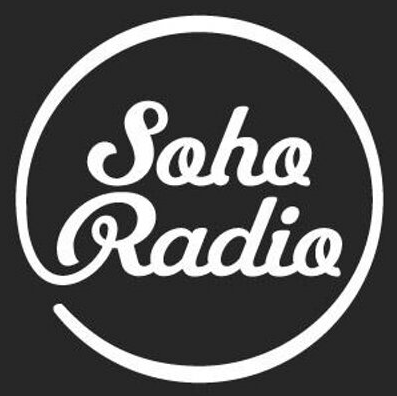 Last week I was invited onto Soho Radio by Clare Lynch and Leslie Hardcastle to talk about my work as an artist, as a historian of St. Giles and Denmark Street and the new talk and performance that myself and Stephen Micalef are doing on the Gin Craze of the 18th century. This was something of a landmark day – a sad day for Soho – as on the way there I’d walked past the newly closed Patisserie Valerie on Old Compton Street. This, alongside the majority of branches in the UK chain, had gone down overnight. However, the original cafe began in Soho in the 1920s and in his opening Soho Society news item, Leslie Hardcastle reflected upon this and also about the uncertain future of Norman’s Coach & Horses. At the moment this is under the management of the wonderful Alistair Choat and daughter Hollie, who have worked hard for the last 12 years to ensure that (previous landlord) Norman Balon’s legacy continues. Norman is a Soho legend and ran the Coach for some 63 years. The pub was the haunt of Private Eye journalists, one Jeffrey Bernard (of unwell status) and an assortment of 60s hellraisers. Any change to it or the loss of the Coach, would be felt keenly by the Soho community, Londoners and tourists alike: the upstairs Secret Tea Room I gather is highlighted and recommended to visitors in a huge number of guide books across the world. So Alistair was the other featured guest on Clare’s show and he spoke eloquently and clearly about the colourful history of the pub and generally raised awareness that come June 2019, it might be the end of it under his management and of Norman’s Coach & Horses as we know it. I love it there and am a frequent visitor to the Secret Tea Room upstairs – this serves a great afternoon tea and the most fantastic Vegan & Vegetarian food each evening. The pub is very popular and is thriving, why even think of changing its future? Then it was my turn to talk about my work, my love for St. Giles and the rich source of inspiration its given me since 2005. Its wild 18th and 19th century history was the subject of my London’s Underworld Unearthed: The Secret Life of the Rookery whilst the music industry on Denmark Street (an honorary addition to the Soho area, as it’s really here in St. Giles) featured in my 2015 Regeneration City Blues exhibition. This show was about London and the almost daily loss of its rich cultural and creative history, its music venues (which have all but vanished from the centre of town), cinemas – and wonderful local and often old businesses. The capital is in the throes of great change and really is these days at the mercy of international market forces, pushing up rents ever higher as the land is sold from underneath existing businesses. Closure then becomes inevitable and a homogenised, bland ‘vision’ replaces a place or business that has given London its very character.